Premarital Agreements Category Archives — Jacksonville Divorce Lawyer Blog Published by Jacksonville, Florida Family Law & Divorce Attorney — Wood, Atter & Wolf, P.A. Do I Owe Temporary Alimony or Attorney Fees in a Florida Divorce with a Prenuptial, Postnuptial or other Marital Agreement? Florida recognizes the use of premarital and post marital agreements when deciding the outcome or possible outcome of a divorce. In some cases, during the marriage the parties may find themselves thinking of divorcing and may enter into a marital settlement agreement, but ultimately not have the agreement entered with the court because they are able to reconcile the marriage, this too is valid in Florida. When parties decide to divorce any agreement between the parties, whether premarital agreement, post marital agreement or a prior marital settlement agreement that allows for enforcement later if the parties reconcile, can be construed as an enforceable contract in the divorce proceedings. As a Jacksonville divorce lawyer, issues can arise regarding the enforceability of the agreement and in order to fight the document, the parties may need to hire separate attorneys, potentially leaving one of the parties needing financial assistance during the contest of the divorce. Therefore, Florida case law allows for temporary support to be awarded for temporary alimony and attorney fees. Was There a Prenuptial Agreement for the Newly Married Paul McCartney? 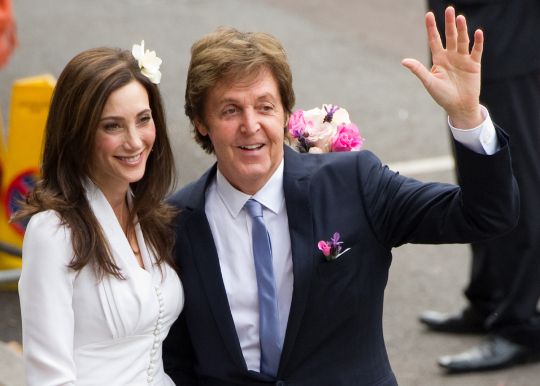 Paul McCartney was married on Sunday to the independently wealthy American, Nancy Shevell. A marriage, that by all accounts seems happy, was hopefully preplanned with a prenuptial agreement, protecting both from future marriage mishaps, such as divorce. Paul McCartney’s wealth far exceeds his iconic role as one of The Beatles. It was exploited in his publicized divorce from Heather Mills, in 2008, that his wealth is over $800 million dollars and consists of music royalties, rare paintings, real estate and the like. Nancy Shevell’s wealth includes business interests and other wealth endeavors that make sense to protect. A prenuptial agreement is beneficial when one or both parties have wealth because it protects certain assets from becoming “marital” and divisible if the marriage were to end in divorce. Protecting those assets is not unromantic, simply a smart business decision by both parties. Planning for Florida divorce before your marriage can be difficult emotionally. When deciding to use a prenuptial agreement it is important to understand that you are planning for your life together in a way that helps divide assets before and during the marriage. Separating assets, especially if you marry later in life, can be important if you both feel that your stuff should be yours and not your spouse’s upon marriage. However, it also means that you have to think differently when entering the marriage because you do not want to use marital funds in premarital (non-marital) accounts because it mucks the water if anything were to divide you later. Non-marital assets are those things that have been purchased prior to the date of marriage, including homes, stocks, etc. However, if you use marital funds (income to you or your spouse) to increase the value of those assets, then the increased value may be considered a marital asset. When creating a prenuptial agreement it is important to know “today’s” value of the assets so you have a reference point of premarital value and marital value if the marriage were to dissolve. If you are interested in a prenuptial agreement, you should speak with a family law attorney to understand your rights and options and how to set-up the agreement in the best possible way. Prenuptial agreements are enforceable in Florida if all provisions are met, especially the full disclosure of assets and liabilities to each party. In a divorce, full disclosure is necessary and required by Florida law. In developing a prenuptial agreement, the same is true because both parties have to have a full snapshot of the other party’s assets and liabilities before agreeing to the financial breakdown in case divorce was eminent. A full premarital financial disclosure is actually a tool that can be helpful in a relationship because both parties have an opportunity to better understand what they are walking into at the end of the aisle. A marriage is based on the joining of two people, but also the joining of their, “stuff.” So, having a full picture is helpful in knowing what challenges and expectations may be ahead for the couple. Full disclosure of assets means that you are both providing bank statements, investment statements, trust holdings, properties, etc. Both parties need a clear understanding of what the other has so that the agreement can be drafted to protect them both and not just one party. A prenup is not intended to be a body of armor for the party with the most, but is designed to make certain that if the marriage were to fail, that there are contentions in place for how to divide marital assets and decide which assets are actually marital and nonmarital. Though it may feel like planning for the marriage to fall apart, the truth is that is actually helps people to plan their life together effectively because it brings issues to the forefront where they may have never otherwise been addressed until an argument occurs. 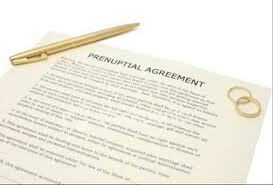 Is a Premarital / Prenuptial Agreement Always Enforceable in the State of Florida? The sad reality in our society is that most marriages will end in divorce. The United States currently has the highest divorce rate at roughly 50 percent for first marriages and almost 70 percent for remarriages. Fortunately, a premarital agreement can bring predictability and security to the circumstances surrounding settlement of your personal affairs following a marriage or remarriage. The Florida Statutes define a “premarital agreement” as an agreement between prospective spouses made in contemplation of marriage and to be effective upon marriage. Such agreements may also be referred to as Florida antenuptial or prenuptial agreements, and informally as Florida prenups. The couple planning to be married decides how important financial matters will be resolved in case of divorce, separation or death. Florida’s Uniform Premarital Agreement Act includes specific requirements needed for a premarital agreement to be valid and enforceable. 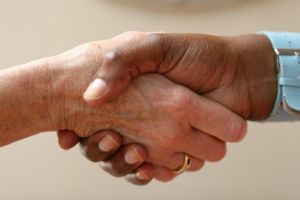 First, the agreement must be in writing (a court will not enforce any verbal agreements between parties). Second, both parties must sign the agreement. Lastly, the agreement is valid without either party giving up any rights; the act of marriage is sufficient enough to create a valid agreement. What Is Parental Responsiblity in Florida? What do shared and sole parental responsibility mean when going through a divorce or family law action in Florida? Parental responsibility gives parents the right to make decisions they feel are in the best interest of their children, such as the following: public or private schooling; participating in sports; seeing grandparents; etc. 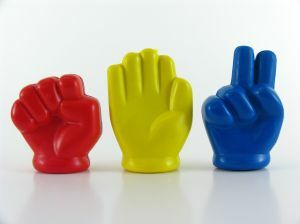 When a family is divided through divorce or circumstance (i.e. a paternity action), then there becomes a question of whether one parent should get to make those decisions or if the responsibility should be shared equally by the parents (e.g. sole parental responsibility or shared parental responsibility). In A Florida Divorce, Do I Have To Return My Engagement Ring? If you are divorcing in Florida with assets purchased before marriage, Florida law recognizes them as premarital assets and those items typically remain with the person that brought them into the marriage. 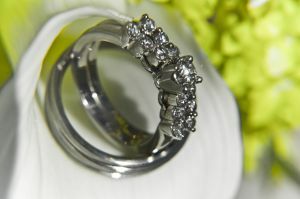 In Florida family law cases, clients often wonder which party will get the engagement ring. Do I Need A Prenuptial Agreement In A Florida Divorce? Florida Statute 61.079 governs premarital agreements in Florida.The definition of a premarital agreement per the statute is “an agreement between prospective spouses made in contemplation of marriage and to be effective upon marriage”. The agreement must be in writing and signed by both parties and is enforceable with no other consideration than the marriage itself. The parties to a premarital agreement can contract with respect to property and its disposition, spousal support, the making of a will or trust to carry out the agreement, benefits from life insurance policies, the choice of law governing the agreement, and any other rights not in violation of law or public policy. Premarital agreements can be amended after the marriage with the consent of both parties. 6) One spouse owns a business and doesn’t want to risk the other spouse getting an interest in a divorce. Failing to plan in any of the above scenarios could cost you a bundle should you go your separate ways. It’s true. Prenups aren’t just for rich people or celebrities anymore. Divorce is more common now than it was twenty years ago. With divorce being more common, more married couples are experiencing the mental and financial pain of divorce. It’s expensive to get divorced even when you may not have much to argue over. 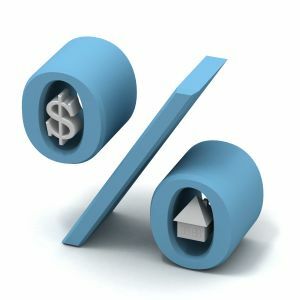 In fact, most of the couples that come through my office in Northern Florida are quarreling over debt as opposed to assets. Because of the big downturn in the economy in the last few years and the rise in unemployment, the only thing married couples have to divide up is the marital debt. This is a disturbing trend but it may be something that can be avoided with a premarital agreement. It may also be prevented by some planning by the individuals prior to saying “I do”. Is Your Prenup Made to Be Broken? According to the latest media reports, Tiger Woods paid his ex-wife Elin $110 million in their recent scandal-plagued divorce. Allegedly, their prenup was for much less than this, but prenups are broken every day and for a number of different reasons.